Customizing the email templates with even more uniqueness is every store owner's key touch. 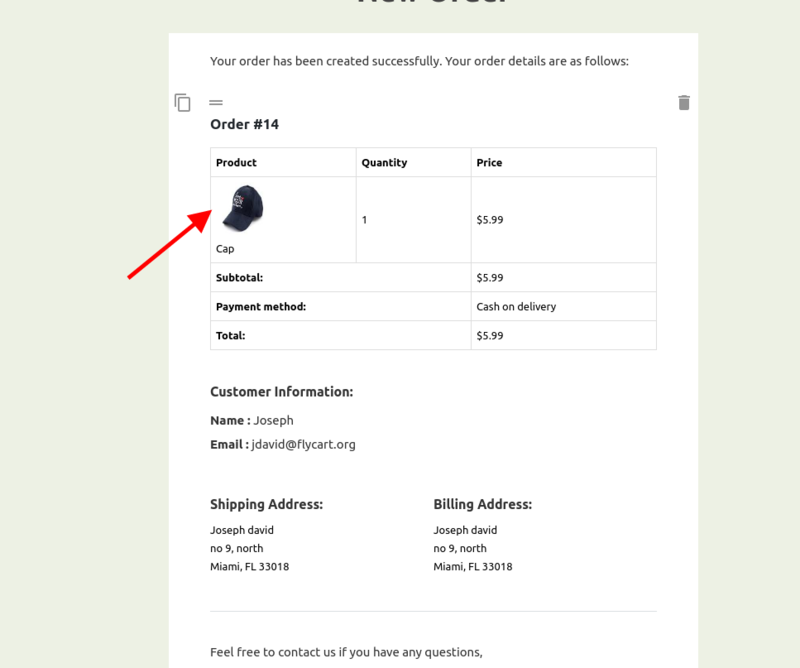 Many store owner, like to send the Order email including the Product image thumbnail included with the Order items table. You can include them with a simple setting. Here is the settings to display the Product images in the emails. 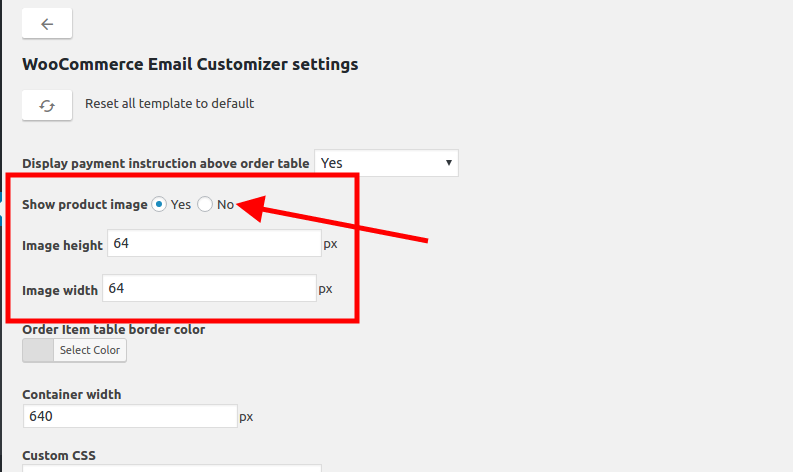 Go to WooCommerce -> Email Customizer -> Settings. 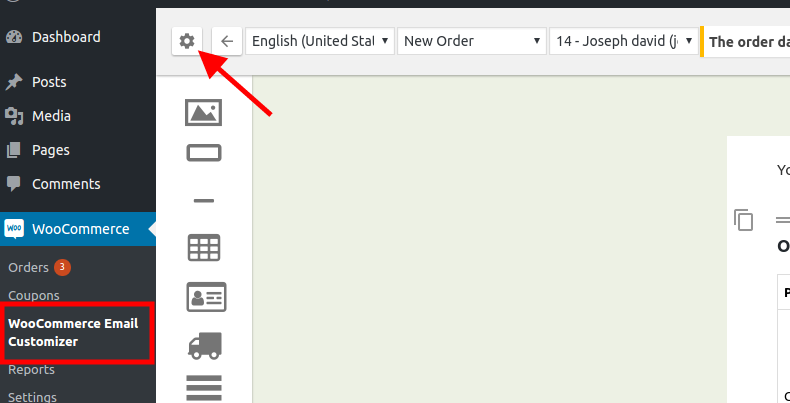 Click on the settings icon on the top left corner of the email customizer. There you can find the settings to display the Product image which you had already setup for the display. As, shown in the above image, Set Show product image -> Yes. And also you can adjust the image height as per your requirement. Let's see, how the product image is displayed on the email.